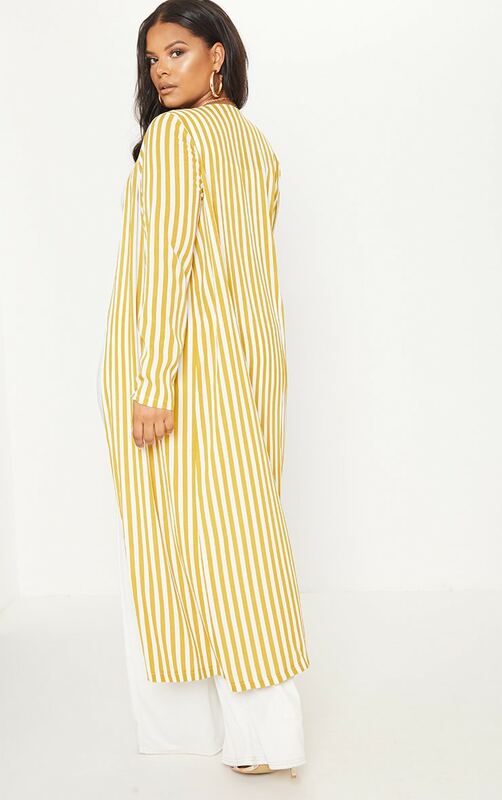 We are loving this duster jacket for the summer season girl. 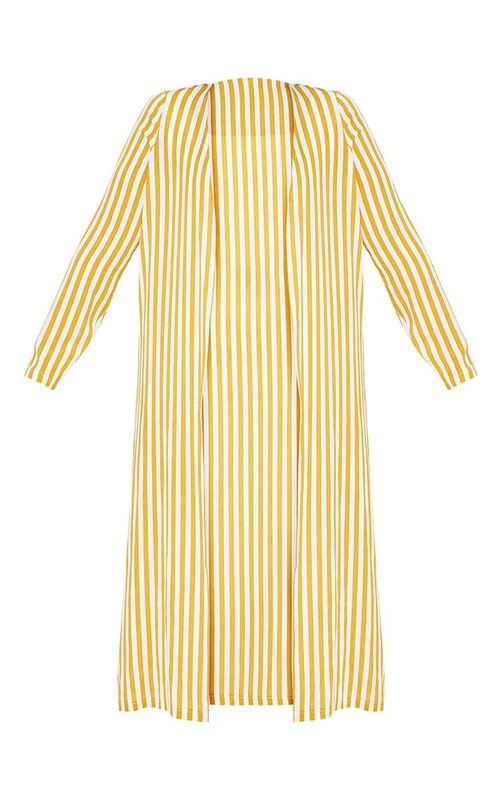 Featuring a chartreuse and white striped design material in a floor-sweeping length. Style this jacket with all white for an ultimate summer-worthy look.